Ten recommendations intended to stimulate more investment to help advance the Sustainable Development Goals (SDGs) were published last week at the SDG Business Forum by the Global Reporting Initiative (GRI), Principles for Responsible Investment (PRI), and the United Nations Global Compact. The recommendations focus on how corporate reporting on the SDGs can best address investors’ information needs to help mobilize sustainable finance needed for the achievement of the SDGs. 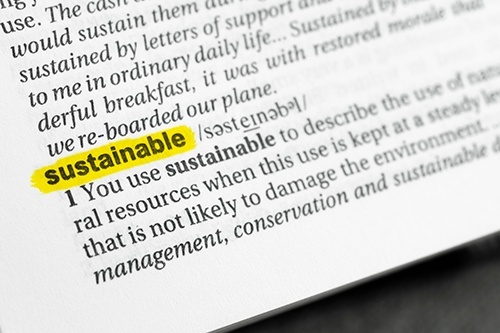 The three entities represent the world’s leading organizations in the areas of sustainability reporting, corporate responsibility and responsible investing. The 17 SDGs, adopted by 193 Member States at the United Nations in 2015, provide a shared framework to address the world’s most urgent sustainability challenges. Achieving the SDGs requires commitment not only from governments and companies, but also from investors. It is estimated that by 2030, a total of US$90 trillion is needed to achieve the SDGs. Mobilizing this capital will require businesses to report on their actions to advance the Global Goals in a way that helps investors make informed decisions, directing resources towards investments with positive real-world impacts. “The globally agreed SDGs are an articulation of the world’s most pressing environmental, social, and economic issues. As such, they act as a definitive list of the material factors that investors should consider as part of their fiduciary duty,” says Fiona Reynolds, CEO of PRI. There is also a strong business case for investing in opportunities aligned with the SDGs, and the benefits of meaningful sustainability disclosures are well established. The publication, In Focus: Addressing Investor Needs in Business Reporting on the SDGs, provides guidance to businesses on how to better ensure their SDG-related disclosures are useful for investors. In 2017, GRI and the UN Global Compact established a joint initiative to help businesses measure and manage their impacts on the SDGs. This new publication on the investor angle of SDG reporting is the latest achievement of this effort. “There is a need for bold leadership from business to realize the SDGs, an ambitious agenda that seeks to transform our world by 2030. We hope this report will support businesses in their efforts to reach investors and help mobilize the sustainable finance needed for the achievement of the SDGs, paving the path to a world where no one is left behind,” says Lise Kingo, CEO and Executive Director of the UN Global Compact. The new report complements an earlier publication titled An Analysis of the Goals and Targets (2017). Later this year, it will be followed by a practical guide to integrating the SDGs into companies' reporting cycles. This report is funded by the Swedish International Development Cooperation Agency.